Our brand new People’s Company production, All Your Gold opens this evening. Over the next few days we will be speaking to members of the cast about the production and getting some exciting behind the scenes insight into creating a new production. 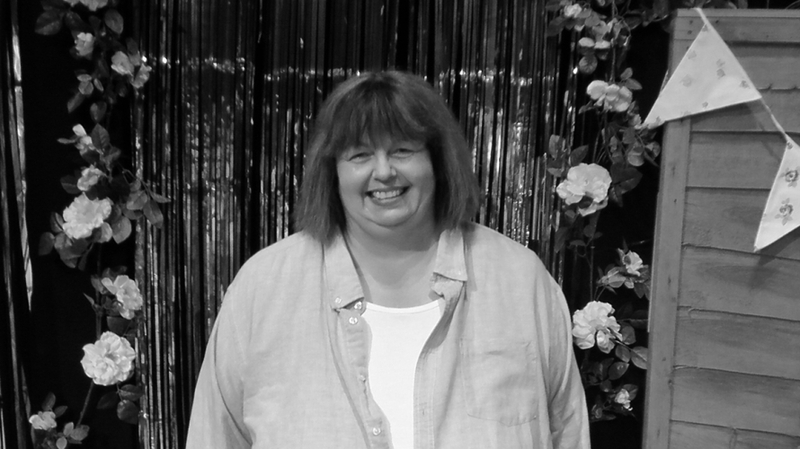 Firstly we would like to introduce you to Christine Jago who plays Diana. Hi Christine. What is your role in the show? I play Diana, a lady with little family but someone who places value on friendships. This time last year I spent approx 3 months in hospital. I wanted to do something positive as part of my recovery. I wouldn’t normally have time to offer to be part of the process. It appealed to me being part of a team and I have always loved the theatre. It said no experience required. So I took them at their word. It’s about a woman’s struggle at finding her own worth. It cleverly shows the value we think our lives have against the reality of what we are really worth to others. It highlights human frailties and triumphs. I have enjoyed every bit of rehearsals. So much so I didn’t want to miss rehearsals when I had to go on my family holiday. I don’t know why but I have been surprised by the professionalism of the whole staff. I didn’t expect to learn so much. To come together stronger as a group and highlight Miriam’s play in the best light possible. To do justice to the Director’s interpretation of the play. I am looking forward to working with lighting, props and wardrobe and becoming a wider team. On a personal note, it’s my birthday on opening night. (Happy Birthday Christine!) On my birthday last year the surgeon and his team performed a sixth operation IN the operating theatre on me. This year on my birthday, I will, with the help of a fantastic team be performing AT the theatre. It feels fantastic and remarkable to be AT the theatre ON the stage as opposed to being in the theatre ON the operating table. With help ………What a difference a year makes. I hope I will remember how important everyone’s role is in a team. I have loved watching everyone blossom in their roles, seeing the effort that stage hands, props, wardrobe etc. put in. It is amazing. I feel privileged to be part of it. What’s next ….., who knows….. I have come out of my comfort zone and loved it. I would like to take part in a People’s Company course and see if I can volunteer to help out any way I can in a future production. Anyone and everyone. If you like observing people you will love the gentle humour and the way the writer cleverly links peoples lives. All Your Gold is running until Saturday 30th June. Limited tickets available so don’t miss your chance to see the show.